I love Valentine's Day for all the sweets and chocolate, as well as all the red, pink, and hearts that seem to be everywhere. I also love it because it's an excuse to eat all the sweets and chocolate, as well as to wear all the red, pink, and hearts. Valentine's Day isn't complete without adding a touch of love to your outfit. Most of the tutorials below seemed based around adding hearts to everything. But it's the one time of year when you can without feeling like you're dressing like a little girl. And I <3 hearts. 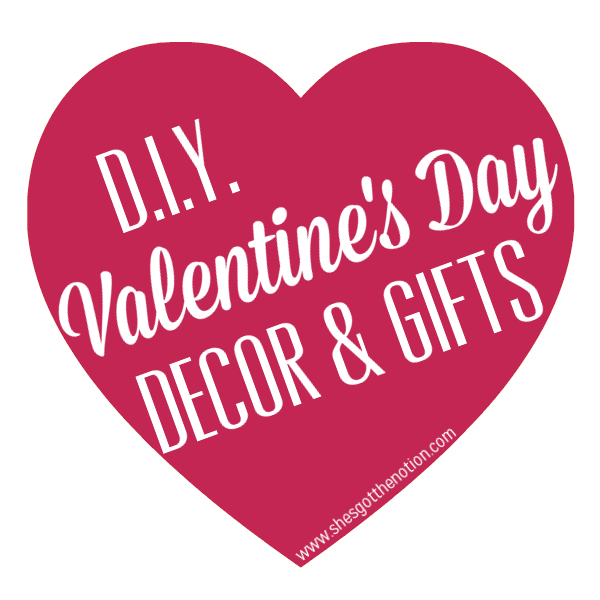 So without further ado, here are some DIYs for refashioning your clothes and adding accessories to get into the Valentine's Day spirit. Lipstick Kisses Jeans from ...Love Maegan: Pucker up and give any old pair of pants a lip-over. This perfect for Valentine's Day. 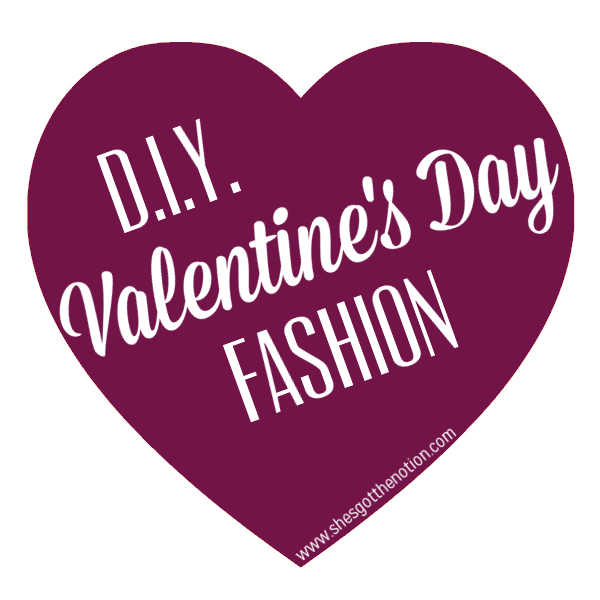 Valentine Skirt from Simple Simon & Co: Have a skirt that needs a little something? This tutorial shows you how to add a cute heart pocket. It's festive and functional. Felt Heart Elbow Patches from Superficial Girls: Add a pop of color and sweetness to your old sweaters or cardigans with these DIY elbow heart patches. Leather Heart Knee Patches from Flattery: There's no instructions for this, but I loved this DIY too much not to include this link. Looks simple enough: cut out hearts out of leather and hand sew onto a pair of leggings. Heart Print Tights from The Pineneedle Collective: This is a time consuming, but very impressive pair of DIY Tights. Be sure to check out Annika's other tutorials too, she has a penchant for adding hearts to clothes! 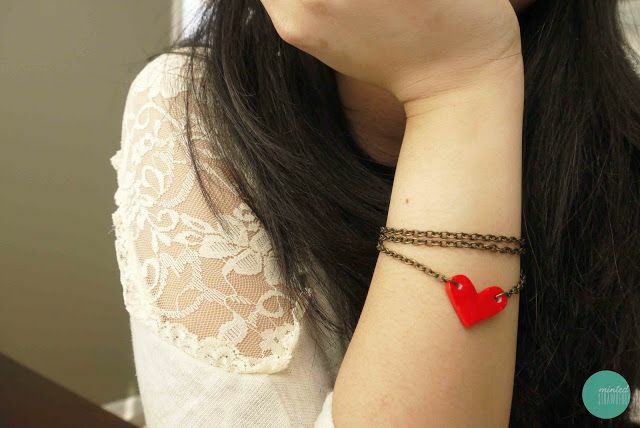 Heart Bracelet from Minted Strawberry: I love how Aki uses an inexpensive, unconventional material to make this super cute bracelet. Heart Friendship Bracelet from HonestlyWTF: Channel your inner middle schooler and make these adorable friendship bracelets. Love Shoes from Matter of Style: Don't forget about your shoes! Try this DIY to create cute glitter hearts on a pair of pumps. Valentine's Shoe Clips from Modcloth: Want a less permanent shoe upgrade? Try these 3 DIY shoe clips from Modcloth's blog. Crochet Heart Headband from Maybe Matilda: I couldn't resist a crochet project! This crochet headband is the perfect finishing touch to any Valentine's Day Outfit. Keep up with the latest on my blog by following me on Instagram, Twitter, Bloglovin', Google+ or liking my Facebook page.